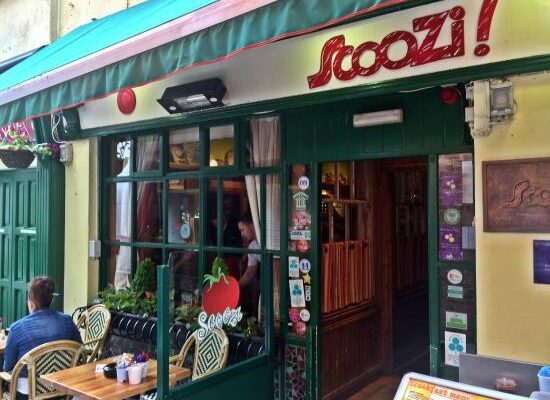 Right in the centre of town, Scoozi’s welcoming staff serve from 8am till late. Full breakfasts, handmade burgers, pizzas, pasta, steaks, fish, chicken dishes… all cooked with love & care. Everyday Chefs start at dawn to bake the freshest cakes, scones, pastries, delicious pavlova & yummy cheesecakes. Seating, it’s always buzzing with a vibrant atmosphere. Family friendly with a homely yet quirky decor Scoozi’s offers inexpensive fine food.